You know what would go great with your brand-new midi skirt? 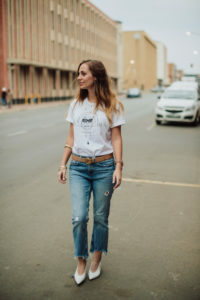 A white T-shirt. 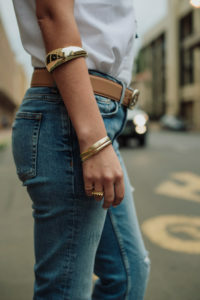 How about your favourite oversize denim jacket, perfect worn-in jeans, slinky slip dress, or polished pencil skirt? Yep, that would be a white T-shirt as well. 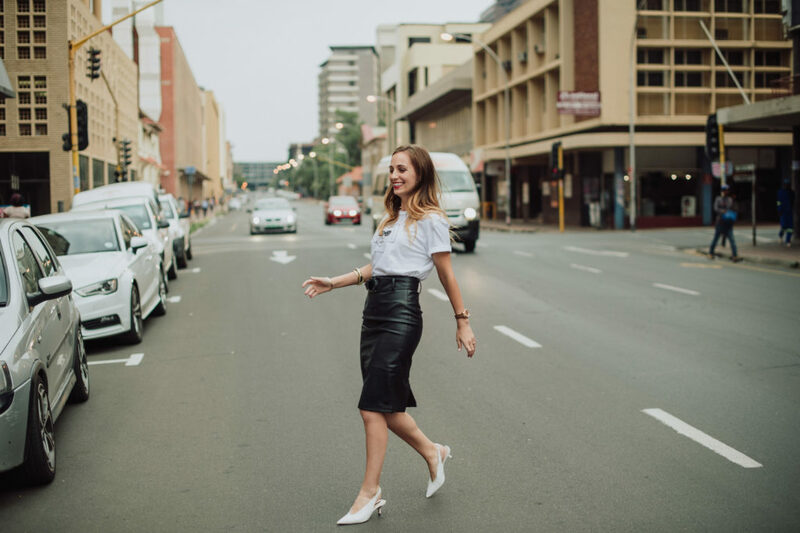 You might think your LBD or black pumps are the most versatile pieces in your wardrobe. 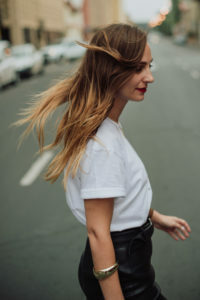 And while those standbys are certainly up there on the list, it’s the classic white T-shirt that’s your true closet hero. Seriously. 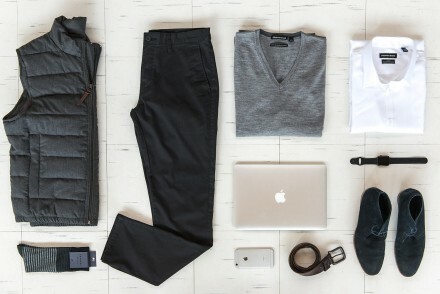 We’ve yet to meet another wardrobe staple as classic and versatile as the crisp, white t-shirt. 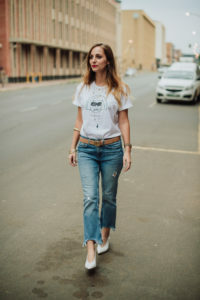 The outfit possibilities are endless, from laid back to dressed up, you can pair a white tee with just about anything for an instantly pulled together look. And will continue to be the belle of the ball well into 2018. 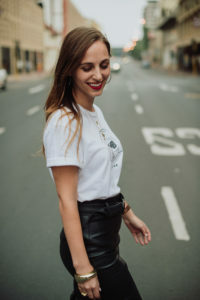 While the white tee is not necessarily anything new, street style stars have proven that the white tee is officially the most versatile item in your wardrobe. Adaptable AND current? Trends like that are hard to come by. 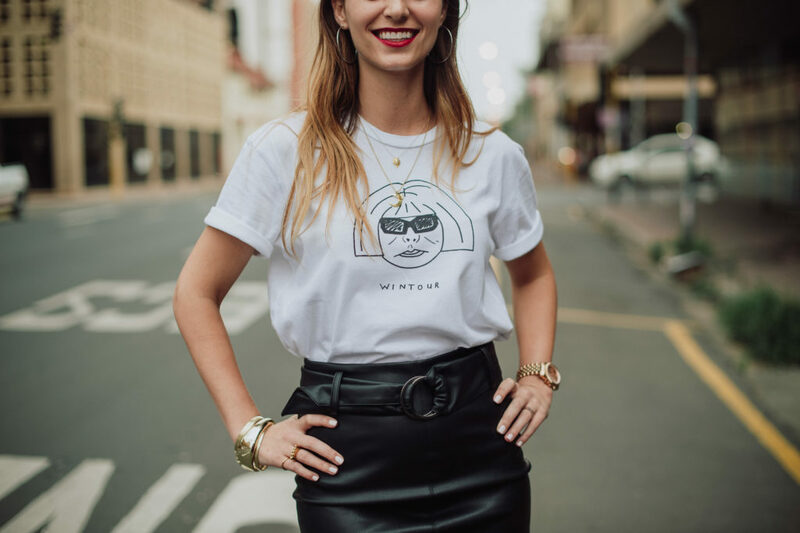 This season we’re seeing a fresh take on the plain white tee with designers at Gucci, Prada, Givenchy and Versace all adding funky illustrations to their tees. 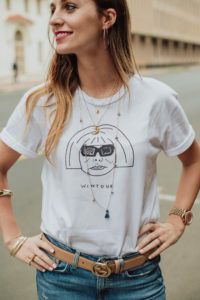 Bang on trend, we LOVE the custom illustrated Anna Wintour Tee by local Durban designer TILONE. 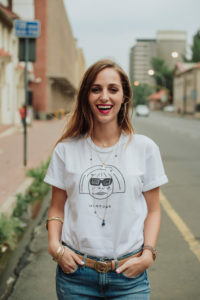 A firm favourite of local editor-at-large, fashion and style icon Jackie Burger, Tilone Viljoen is a self-taught fashion designer. 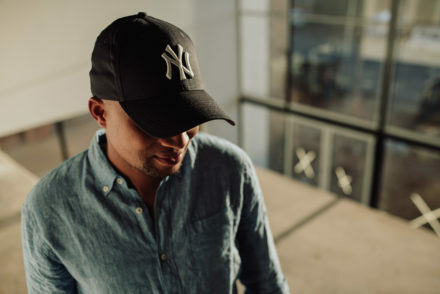 His knack for design originating from religiously reading fashion magazines, watching documentaries and helping his grandmother from a young age in her sewing room. 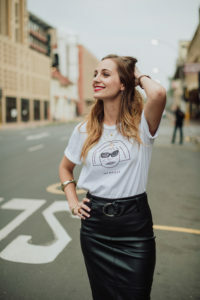 His fashion commentary illustrated t-shirt line called ‘TILONE’ caught our attention after being featured in Jackie Burger and Michelin-star chef Jan Hendrik’s Salon 58 soirée No. 11. 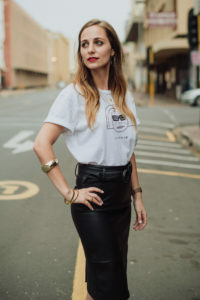 Held at The Old Tannery in Wellington, the Coco Chanel TILONE t-shirt was featured in a salon-inspired fashion show and styled beautifully by Jackie Burger with a full length skirt, black jacket and leather loafers. 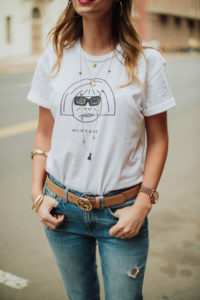 Featuring fabulous fashion icons such as Karl Lagerfeld, Grace Coddington and Iris Apfel, the TILONE illustrated t-shirt line is definitely one to watch and absolutely a MUST-add to our wardrobes this season. 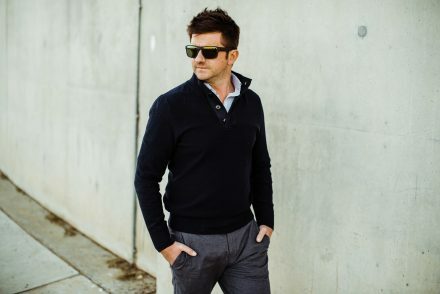 *Follow TILONE on Instagram –> here. 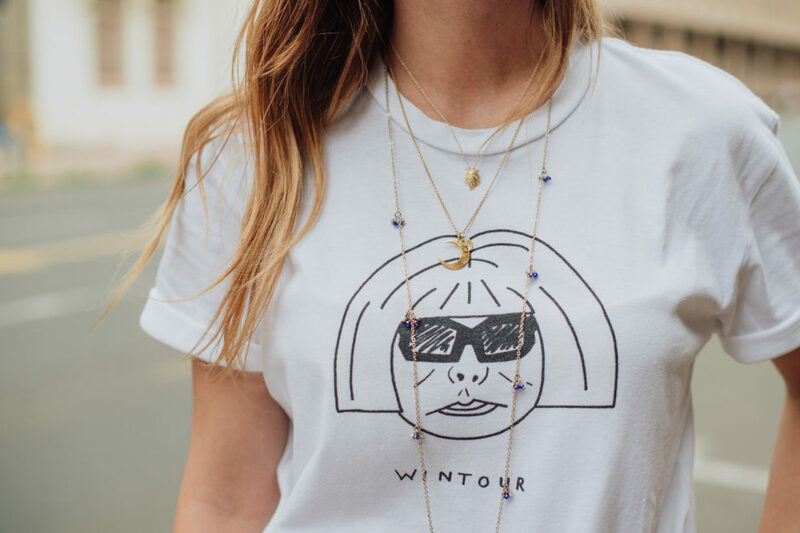 So how are you to wear these statement-making illustration tees? To be honest, there is no right or wrong answer to that question, which is what makes this item all the more precious. 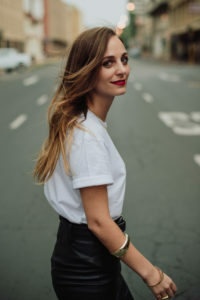 Some style them simply with jeans and sneakers while others aim to impress by pairing them with structured suits, midi skirts, and even dresses. 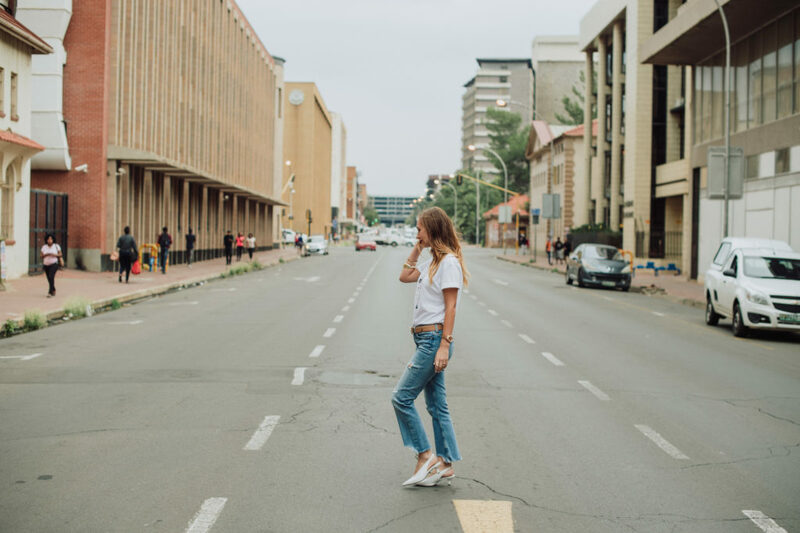 Whichever way you choose to style yours, we assure you that the white T-shirt is a trend guaranteed to stick around well into the 2018, and that’s a trend worth investing in.